It's hard to be stylish and comfortable at the same time. Usually you have to choose one or the other, but his season is different. Spring fashion brings style and comfort together in gorgeous pants in wide-leg, athletic-inspired, and ankle skimmer styles boasting cool patterns and bright prints. The best part? These uber-comfortable pants are totally versatile: dress 'em down for a casual day, or dress them up with wedges, a few accessories, and a beautiful blouse. 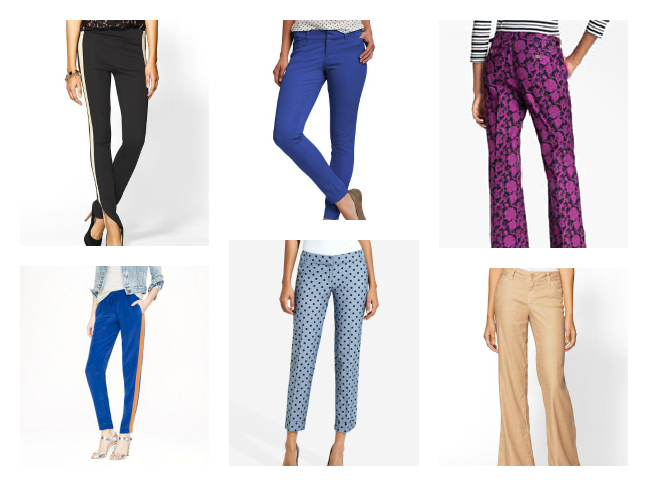 Choose trousers in your favorite solid color or be bold and wear a floral or graphic print pant to be really on trend this spring. Get shopping!